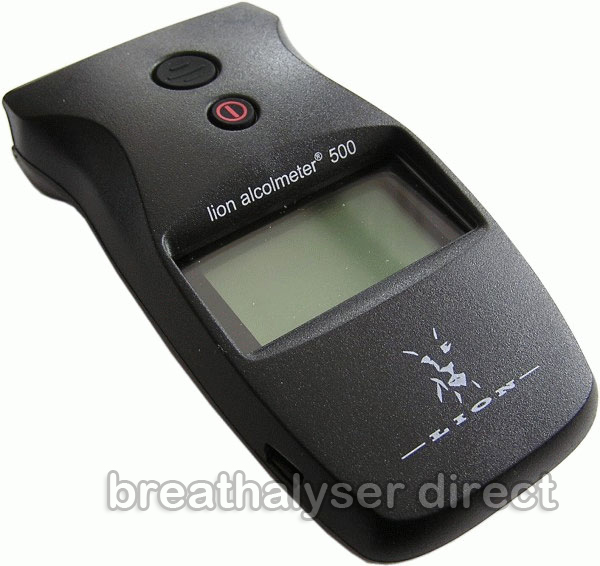 The Lion 500 Alcolmeter/Alcometer Breathalyzer is for fast yet accurate, fully quantitative breath analysis, and can be used literally anywhere. This device is the sister unit of the highly successful UK Police Lion 500B - exact same device with commercial software added. It uses Lion fuel cell sensor, so the reading is very unlikely to be affected by anything in the subject's breath other than alcohol. 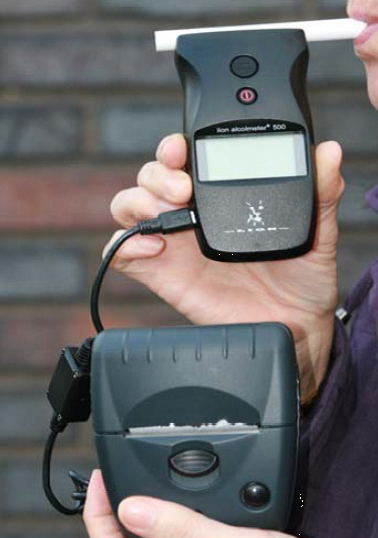 The Lion 500 Breathalyser is fully automatic, through microprocessor control, so it is very simple to use. It is used extensively by Police Forces around the world, mainly for screening but also for evidential testing, and is Type Approved by the Home Office, Great Britain, for UK Police use in the United Kingdom. The operator switches the instrument on and, when instructed, attaches a new mouthpiece to the small sampling port. The subject should then blow into the mouthpiece until the sample is taken. A short time later their alcohol level is shown on the clear, easy-to-read display: this is illuminated, for use at night. When the reading has been taken, the operator removes and discards the mouthpiece. After a short delay the instrument is ready to use again on the next subject, as required. The result of the last test can be recalled to the display, if required. Do I Need Specific Training to Operate These Devices ? In a word - No ! It is extremely easy to use and will take minutes to get you up and running. Fit a mouthpiece, turn on, wait for 'take sample' message'. Blow until the tone stops and then read the display - UK Driving limit is 0.35 mg/L. If the blow is insufficient you will get an error message. Foolproof technology. If you have bought a Lion 500P (see below) and need to print off the result, connect the printer and it will automatically print off the test result. This instrument can also used with a nasal tube, for sampling breath from a comatose patient in medical applications. A Printer Kit [printer plus carry case] is also available for use with this instrument. This generates a permanent record of each test, with space for the manual of other details, such as names and location. This may also be ordered as the complete 500P, if required. 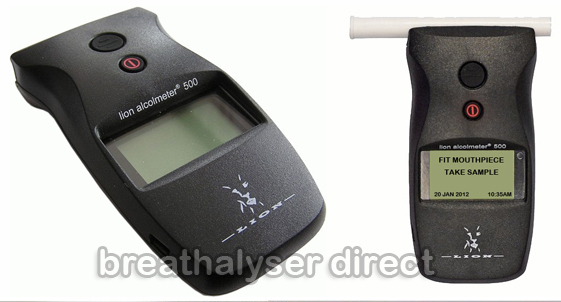 The Lion 500P Alcometer Breathalyser has all the features of the standard Police issue Lion 500 but also offers the ability to link to a portable printer. This is a superb device, very easy to use, offering evidential results. The Lion 500P is the most cost effective UK Home Office approved device on the market today. In a word - No ! It is extremely easy to use and will take minutes to get you up and running. Fit a mouthpiece, turn on, wait for 'take sample' message'. Blow until the tone stops and then read the display - UK Driving limit is 0.35 mg/L. If the blow is insufficient you will get an error message. Foolproof technology. If you need to print off the result, connect the printer and it will automatically print off the test result. Whilst the price of the Lion 500P inclusing printer may seem expensive, consider the cost involved of an employee suspended/dismissed on the results of a 'consumer' grade breathalyzer which is not Home Office approved and the results from which do not stand up in a tribunal. 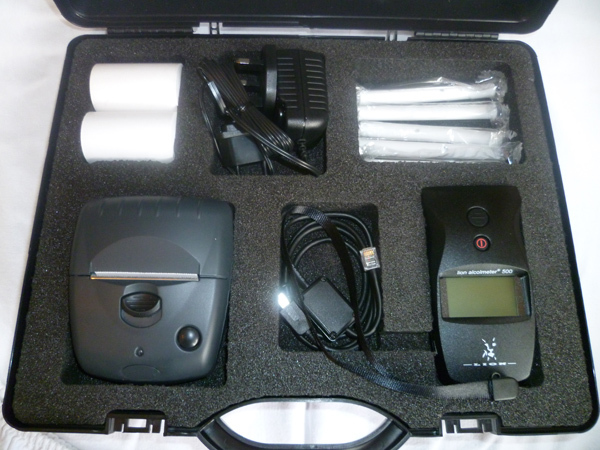 Both breathalyser and printer are housed in a small, lightweight carrying case, to produce a low-cost, small analytical go-anywhere system for on-the-spot evidential breath analysis [subject to local specification and regulations permitting].